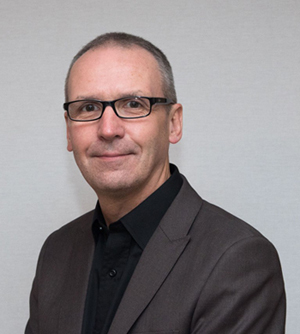 Three German audio equipment manufacturers are eager to demonstrate their new IP-based products at IBC. 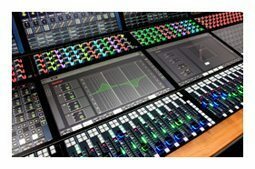 Stage Tec on stand 8.C80 at IBC will show AVATUS, an IP-based console that communicates via IP networks allowing the mixer to be controlled remotely using a PC or Mac connected via LAN or Wi-Fi. This is particularly useful in broadcast where the possibilities for this new way of working are legion; e.g. the sound supervisor can work on the mix in the truck while an assistant plugs up the microphones and sets the routing to the correct mixer channel. Scene automation can be run remotely and snapshots called up and stored. Alternatively, the IP remote working can allow console surfaces to access centralised core processing and routing or deliver effective resilience strategies. AVATUS offers over 800 input channels and 128 sum buses in formats ranging from mono to 7.1. 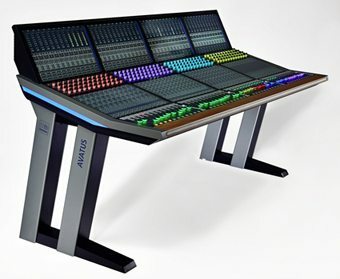 Each section of the desk may be colour coded to the user’s preference for speedy and intuitive performance and the screens are touch displays. Visitors to DirectOut Technologies’ stand 8.E85 will see SG.MADI, a SoundGrid® to MADI converter that, for example, links SoundGrid® processing to any MADI system or router. SoundGrid® is an uncompressed, multi-channel, low-latency digital audio Layer2 Ethernet protocol from Waves for audio networking and real-time processing in live, broadcast and music production facilities. 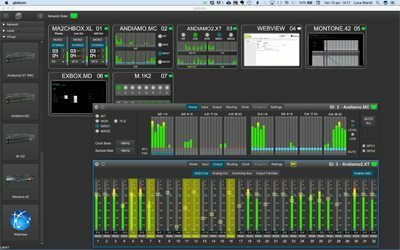 RAVENNA/AES67 users will be interested in a firmware update to DirectOut’s MONTONE.42 MADI/Audio-over-IP bridge. The new HTML5 user interface has been completely revised with a menu structure that provides a full routing matrix between all MADI and AES67 channels and quick access to all relevant system and streaming information. Detailed adjustments can be made in the Advanced Settings area ensuring that MONTONE.42 can be used in demanding and complex network infrastructures where the ability to adjust parameters, such as QoS and PTP values, are key. In addition to RAVENNA and SoundGrid® a third networked audio format product will be announced – visit 8.E85 for all the latest details. Jünger Audio, on stand 10.A49, is introducing NETBRIDGE a series of simple converters that translate established audio formats to networked audio.The first products in the range are UHD-NETBRIDGE that converts 4x 3G-SDI to MADI and Dante and MADI-NETBRIDGE, a bidirectional MADI/Dante converter. NETBRIDGE units will be available as 1U 19” rack mounting or standalone units. In addition to its IP-based offering Jünger will introduce EASY LOUDNESS, a dual stereo Level Magic™ audio processor with true peak limiting and optional loudness logging; there’s no setup, just plug-and-play. Fitted with SDI and AES IO, EASY LOUDNESS is designed for stereo broadcast to ensure consistent loudness is maintained from programme to programme. The Multichannel Monitoring and Authoring (MMA) system is Jünger’s Next Generation immersive audio processor for MPEG-H monitoring and authoring. MMA provides all the tools required to handle and create static and dynamic audio channels and objects, author metadata and measure the loudness of each of the possible MPEG-H presentations.